This experience includes three parts: a Kendo experience activity, a special Samurai lunch and a Kendo gear factory visit. Experience the traditional samurai culture through kendo. Kendo experts with over 20 years of experience will help you learn and understand authentic Kendo while having fun in a safe setting. Beginners will be guided thoroughly until they can have a taste of combat. Have a taste of a real “battle” and bring forth the fighting. 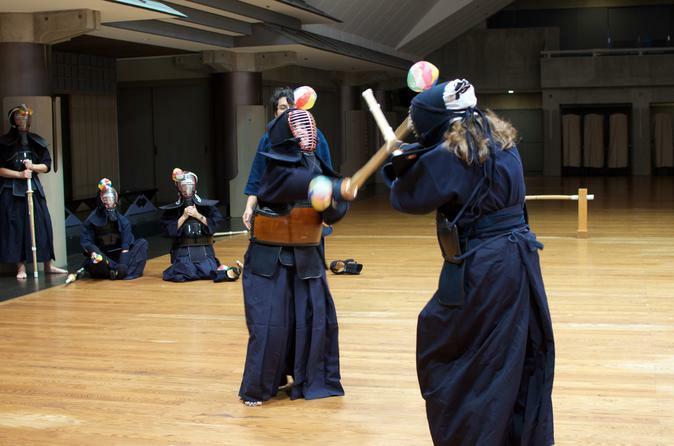 You will have the chance to test what you have learned during the tour through “balloon Kendo” with other participants in mini-tournament format. After the Kendo experience, you will be taken to lunch at a Kendo restaurant where you will be provided a special Samurai meal and Kendo/Samurai goods. You can enjoy a Japanese traditional meal and nice atmosphere. "Bogu," the suit of armor used in Kendo, is a traditional craft that has been passed on for generations in Japan. A guide will first bring you through the principles and ideals of the Samurai and Kendo which will then be followed by a tour to the traditional armor workshop where the craft has been passed on in the family for many generations.